World Precision Instruments (WPI) has introduced the MemoryFlex™ Surgical Scissors which cut better, last longer and cause less trauma to tissue. The memory steel patented technology provides the ultimate in durability. Memory steel flexes, maintaining a high sheer bias on the cutting edge and enabling the scissors to cut all the way to the tip. Traditional scissors do not fail because they dull quickly, they fail because they get loose. When this (inevitably) happens the individual blades splay apart, crushing soft-tissue in between them. Further, scissors do not fail in storage or in sterilization, they fail during procedure. They fail when it is too late, and the damage has already been done. MemoryFlex™ scissors can cleanly cut through 64 layers of latex while most of the scissors on the market are not able to handle eight layers. This is a simulation of calcified tissue. How is this possible? The key lies in the memory, spring stainless steel employed in the manufacturing. 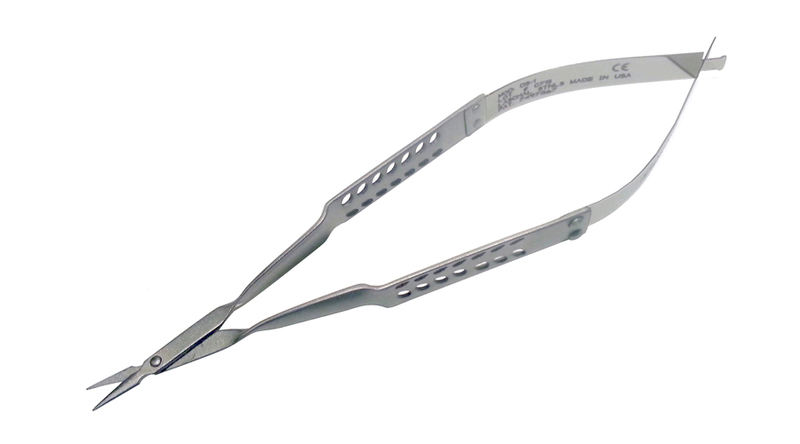 Most surgical instruments are made of hardened stainless steel that requires a significant amount of carbon. Though carbon aids in the stiffness, it is also responsible for the brittleness, corrosiveness and inflexibility found in all surgical instruments. Memory steel on the other hand, is flexible, and always returns to its original shape. While the rivet or screw (pivot point) in a pair of common scissors is the weakest point, in Memory Flex scissors the pivotal rivet is the strongest part of the instrument. World Precision Instruments is a global laboratory product manufacturer with nearly 50 years of design and manufacturing experience.